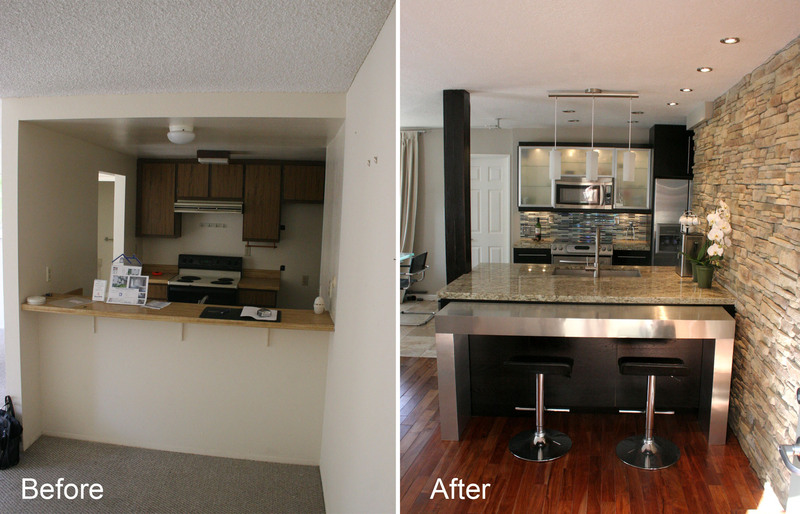 Kitchen Planning and Design :: Kitchen remodeling in a down economy – part 1. Actually, a no-brainer really. This is probably the largest single surface you see, so choose wisely and the way your kitchen looks can change overnight. If money were no object, probably you would go for granite, right? Well, you can, as granite can be affordable too. 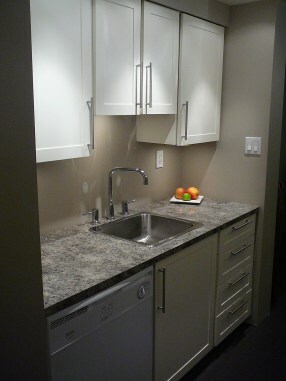 look for a local source: granite is heavy and expensive, so the farther it travels, the more you pay. Local dealers, or even better, local mines and processors can help you with good prices. the composites: companies like DuPont have been doing research for years to make materials like granite more affordable. They are called engineered stone: it is made from quartz, comes in a large variety of colors and it is a nonporous surface that resists stains and scratches and is easy to maintain. To cut costs even further, look for thinner widths without beveled edges. If you want something fancy, you can even make a countertop from concrete. 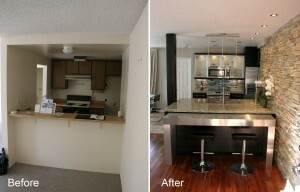 Replacing all the cabinets is surely the most expensive part of any kitchen remodel. 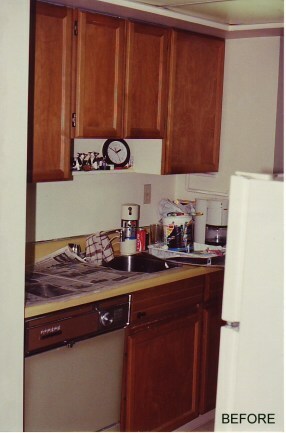 However, most of the time your kitchen cabinets have more mileage in them than you would think. When keeping the doors is not an option, a great upgrade can be to change just those: stained glass doors for upper cabinets will surely make your kitchen look brighter. For lower cabinets, look for horizontal patterns – they make the kitchen look bigger than it is. For a smaller upgrade, what about replacing the kitchen cabinet hardware? Small things like new door handles and drawer pulls will make a huge difference in the overall look of your kitchen. Be sure that when you put a topcoat on them you select one that does not yellow; this is especially a problem in the kitchen. I would have started with this, actually: lighting is proven to be the most cost-effective way to totally change the way your kitchen feels. Do you have a single light hanging from the middle? Use a combination of accent- task- and general lighting to get an optimal result. 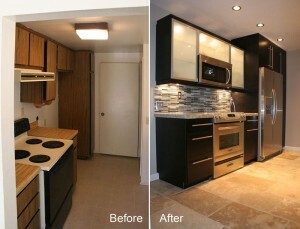 Tip: accent lighting is usually considered ‘decoration’, but this can improve your kitchen greatly. Look out for the second part for even more ideas!